The Master Gardener Program in Waupaca County started in 1994. 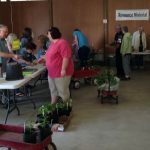 Over 191 people have been trained since that time, and there are currently 23 certified Master Gardener Volunteers (MGVs) for 2019. In 2018, Waupaca County Master Gardener Volunteers reported 1269.5 hours of community service, worth a value of over $30,468. 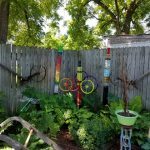 The Master Gardener Program in Waupaca County started in 1994. 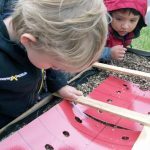 Over 195 people have been trained since that time, and there are currently 26 certified Master Gardener Volunteers (MGVs) for 2018. The UW-Extension Educator facilitating the MG Program is Agriculture Agent Greg Blonde. 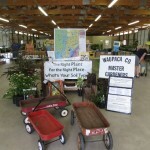 The Master Gardener Program in Waupaca County started in 1994. Over 195 people have been trained since that time, and there are currently 29 certified Master Gardener Volunteers (MGVs) for 2017. The UW-Extension Educator facilitating the MG Program is Agriculture Agent Greg Blonde. The Master Gardener Program in Waupaca County started in 1994. Over 195 people have been trained since that time, and there are currently 35 certified Master Gardener Volunteers (MGVs) for 2016. The UWEX Educator facilitating the MG Program is Agriculture Agent Greg Blonde. Read more in this excerpt from the 2015 accomplishment report. Excerpt from the 2014 Annual Report featuring Waupaca County.